A subsidiary of the popular gambling sites Bodaga and Bodog, Slots.lv is an online casino with an unusual twist. The casino offers players a huge catalogue of online casino games as well as a dynamic, exciting, and enticing gaming environment. Slots.lv is primarily designed to serve bettors in Canada and the United States. In the following review, we dive into everything you need to know about this online casino. Having been established in 2013, Slots.lv Casino has only been in operation for a little over five years. This online casino doesn’t have much of a history but there haven’t been any major issues since it came into existence. Slots.lv is a great online casino that’s just starting to make a name for itself. This online casino has opened its doors to a wide audience thanks to its availability across multiple platforms. Slots.lv Casino is based in the Mohawk territory in Canada, where it’s licensed by the Kahnawake Gaming Commission. This particular online casino is owned and operated by Lynton Limited Casinos. Since its founding in 2013, Slots.lv casino has been expanding at an astonishingly quick pace, making it one of the leading destinations for players looking for the most up-to-date games at a reliable online casino. The rapid expansion is linked with Slots.lv’s ties with Bodaga and Bodog sites. Slots.lv Casino is only available for players in Canada and the United States. If you don’t reside in any of these countries, there’s a high likelihood that you won’t be able to play at Slots.lv Online Casino. USD and CAD are the only available currencies with which you can open a real money account. Bitcoin is also accepted. 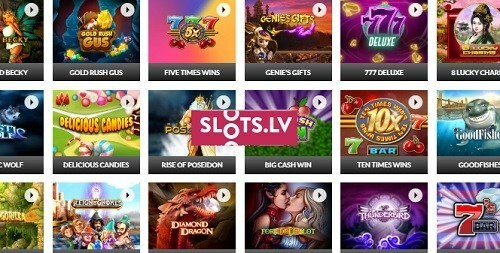 The Slots.lv website is available in English and Chinese. Slots.lv is restricted in some US states namely New York, New Jersey, and Maryland as well as the Canadian province of Quebec. Today, Slots.lv is synonymous with diversity and reliability when it comes to online casino games. If you are in the market for an online casino with plenty of online casino games to choose from, has a great reputation, and has been in operation for a reasonable time period, then Slots.lv is exactly what you are looking for. The fact that this online casino has ties with some of the most popular US-facing online casino sites (Bodaga and Bodog) is a good thing. Try Slots.lv and see if you like what they offer. Just like all other online casinos in the worldwide web, Slots.lv requires prospective players to create an account to enjoy their huge catalogue of online casino games. Creating an account at Slots.lv is pretty straightforward. All you have to do is go to the Slots.lv page, enter your name, email address, mobile number, and physical address. Once you have created and validated your account, then you can log in, make a deposit, and enjoy the over 400 online casino games that Slots.lv has to offer. You can suspend or terminate your player account at any given time if you wish to. The competition in the online casino industry is cutthroat. As a way to attract new players, online casinos offer all kinds of welcome bonuses and Slots.lv is no different. This online establishment offers new players a wide variety of welcome bonuses and promotions. All you need to claim your welcome bonus is a minimum deposit amount of $20, a valid player account, and the correct bonus code. The two major welcome bonuses are the Casino Games bonus and the slots only bonus. As a new player, Slots.lv gives you a choice when it comes to your welcome bonus. You can opt for the casino games bonus and claim up to $2000 in bonus money or the slots only bonus that’s worth $5000. Start by creating a player account. You’ll have to make a minimum deposit to claim your bonus. Sign in, go to your dashboard page, and click on ‘Make a Deposit’ and choose the desired payment option. Keep in mind that there are no promotion specific minimum deposits. The minimums are tied to payment options. Therefore, the amount of money you will be required to deposit in order to claim your welcome deposit will depend on the option you choose to deposit. If you pay by credit card, you will have to deposit at least $20 to claim your bonus. You will have to part with a higher amount if you opt for a different deposit method. When depositing money into your Slots.lv player account, you’ll have a chance to enter a bonus code. The bonus code helps you redeem your welcome bonus of choice. Use bonus code HELLOGAMES100 to redeem the $2000 casino games bonus to match your deposit by 100% up to $500. For instance, if you deposit $100, you will get an extra $100 in bonus money. The casino games bonus is offered in two parts. The player has to take full advantage of both parts of the bonus to claim the full $2000. To take full advantage of the first part of the bonus, deposit $500 and to get an additional $500 as bonus money. The HELLOGAMES100 is only usable once in the first part. In the second part of the promotion, you will be able to use the HELLOGAMES50 bonus code which matches your deposit amount by 50% up to $250. The HELLOGAMES50 bonus code applies to six subsequent deposits. To claim the entire $2000 bonus, take full advantage of the $500 bonus on the initial deposit and $250 on the following payments. Use bonus code HELLOSLOTS200 to claim the $5000 slots only welcome bonus. When you redeem the HELLOSLOTS200 bonus code, Slots.lv will match your deposit amount by 200% up to $1000. The first part of the bonus allows you to triple your deposit amount and can only be used once. The second part of the welcome bonus allows you to use the HELLOSLOTS100 bonus code to match your deposits by 100% up to $500 for the following 8 consecutive deposits. For instance, you will be able to play with $1500 by just depositing $500 in your first payment. Then make deposits of $500 for the following eight payments to take full advantage of the slots only welcome bonus, which totals to $5000 in bonus money. This welcome bonus is similar to the casino games welcome described above except that it offers a lot more in bonus money. Keep in mind that you can still claim the casino games welcome bonus after playing for slots only bonus. Welcome bonuses at Slots.lv are subject to wagering requirements. There are a total of 7 promotional codes at Slots.lv Casino; wagering requirements apply to each one. For instance, the casino requires a 120 times rollover for the casino games bonus and the deposit used to claim it. Therefore, if you the $500 bonus using the promocode HELLOGAMES100, you would be required to wager a total of $120,000 to be able to withdraw real money from your player account. The casino games bonus is cashable. This means that after meeting the rollover requirements, you can withdraw everything from your account. You don’t owe the casino anything. The Slots.lv $5000 slots only bonus has a rollover of just 35 times. You must have an active bonus for the stake to count to its requirement. If you want to take advantage of all the 7 promotional codes, you can do it any time you want. The casino doesn’t require players to clear one rollover requirement to claim the next promotion. On top of the welcome bonuses described above, Slots.lv Casino offers a no deposit bonus for new players. The no deposit bonus amounts to $22 which you can use to try the various casino games Slots.lv offers. All you need to claim the $22 free bonus — no deposit required — is register a new player account and verify it immediately. Then use the bonus code SLOTS22 to claim your free bonus. The Slots.lv no deposit bonus is subject to 100 times wagering requirement. The Slots.lv Casino app allows you to play the awesome online casino games the site has to offer on the move. 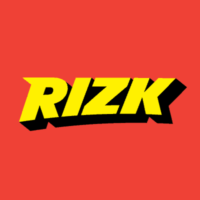 The mobile app is primarily designed for players in the United States and Canada. The app can be used on a wide range of mobile devices, including iPhones and Android-powered smartphones. The Slots.lv casino app offers a wide variety of online casino games and a load of interesting features. The Slots.lv mobile app is designed to fit the screen of any device you may use to access the online casino. This fantastic web application compresses and simplifies information, thereby improving overall functionality. Most importantly, the mobile application retains the same design as the standard desktop version. The Slots.lv mobile app is a great option for those who prefer placing their bets using portable devices such as tablets and smartphones. The Slots.lv mobile application can be loaded in the main web browser used including Safari, Google Chrome, Opera, and Mozilla Firefox. Loading the mobile app takes you straight to the home screen. From here, you will be able to browse the major game categories including Table Games, Slots, and Most Popular. You will also find other important features such as help pages, communication channels, live chat service, and other convenient buttons on the home screen. There is a drop-down menu on the top right corner of the navigation bar. Here, you will find shortcuts to payments, gaming section, and various promotions. Use the small icon on the top navigation bar in the user account menu to key information such as the history of payments, current balance, and other types of personal information. The ‘Articles’ section of the Slots.lv Casino App is full of fun, edifying articles about different casino games offered by Slots.lv Casino. The Slots.lv Mobile App offers more than 180 online casino games. These include a variety of Video Poker games, Table Games, Slots, and other specialty games. The app runs smoothly and effortlessly when playing online casino games via smartphone or tablet. All the games have good sound and graphics even on mobile devices. However, the online casino is yet to optimize its full gaming catalogue for mobile use. Consequently, the selection of mobile games is limited compared to the main website. Slots.lv Online Casino doesn’t have a dedicated mobile website. However, that doesn’t mean that players who prefer placing their bets with mobile devices can’t do that efficiently. The Slots.lv mobile app, described above, is a web app that allows players to access a mobile-friendly version of the online casino site. In a way, the mobile app — which can be loaded from any web browser on your smartphone — doubles up as a mobile website. The mobile app is optimized for smaller screens and touch-based inputs of smartphones and tablets. If you want to access a mobile-friendly version of Slots.lv Casino, use the mobile app to do so. You don’t have to worry about compatibility. Virtually any device that supports HTML5 can be used to access the mobile app for a simplified version of the website for a better mobile betting experience. Slots.lv mobile app is intuitive and easy to navigate. Slots.lv online casino games are powered by several renowned software providers –the main one being Realtime Gaming, also known as RTG. RTG is one of the largest and most stable casino gaming software provides in the world. The RTG software guarantees authentic and immersive quality sounds as well as clear, realistic visuals. More importantly, the user-friendly interface ensures a trouble-free gaming experience. Rival and BetSoft are also involved in developing some of the casino games at Slots.lv. As a casino games developer, Rival is highly regarded for facilitating smooth integration of their games within different platforms, not to forget their turnkey software solutions. BetSoft, on the other hand, holds the title for being the leading innovator in 3D gaming technology. Working with such industry leaders allows Slots.lv to deliver a premium online casino gaming experience. While Slots.lv provides a wide variety of online casino games, slots are indeed the casino’s most appealing offer. Therefore, the name Slots.lv is not misleading in any way. The casino focuses on providing the best slots on the worldwide web. If you are in the market for an online casino offering great themed online slots such as Sushi Bar, Snow White, Ceasar’s Empire, etc., Slots.lv does not disappoint. The casino’s collection of online slots includes classic 3-reel and 5-reel machines as well as 3D slots such as A Night in Paris, At the Copa, At the Movies, et cetera. Slots software is provided by Realtime Gaming and Rival, meaning you should expect impressive 3D graphics as well as immersive, super-realistic sound. The total number of slots offered at Slot.lv is 193. More than 50 titles in this collection have a progressive jackpot. Roulette is one of the most popular table games in online casinos. Slots.lv offers two of the most popular variations of roulette; American Roulette and European Roulette. American Roulette contains a double zero while the European Roulette has a single zero. This is the only difference between the two variations of the game. The variation with a single zero, otherwise known as European Roulette, means that the house has a lower edge hence more efficient. There are five different types of Blackjack offered at Slots.lv, including Single Deck Blackjack, Double Deck Blackjack, Classic Blackjack, and Zappit Blackjack. Players can place bets between $1-$500 unlike in brick and mortar casinos where players are forced to stake $10 or $20 per hand. This is a big advantage for low rollers. Zappit Blackjack is the only type of Blackjack that doesn’t follow the traditional format at Slots.lv. As a poker fan, you’ll get to enjoy several types of this traditional game of skill at Slots.lv. Variations of poker available include the less known Vegas Three Card Rummy, the popular Caribbean Hold ’em, Let ’em Ride, Caribbean Stud, Tri-Card, and Pai Gow. The casino delivers an exceptionally realistic experience with every game. As a player, you feel like you are at an actual round table in a brick and mortar casino. Slots.lv Casino also provides online Baccarat, another popular casino game. Online Baccarat means that the players can play whenever they like no matter where they are located in the globe. Powered by RTG, the Slots.lv Baccarat design is excellent and super realistic. Seeing as this is James Bond’s game of choice, you’ll love what the casino offers if you have the same passions as the British super spy. If you love Bingo, you will not be disappointed by Slots.lv offerings. You’ll find several types of Bingo to choose from, including 30-ball bingo, 80-ball bingo, European bingo, and American bingo. Alternatively, you can play the Sudoku, an equally entertaining Japanese classic. There are numerous sports betting options, and you can select your favourite sport by simply clicking on the relevant links. The Slots.lv sportsbook displays live events and allow the placement of instant bets on ongoing matches or events. Key markets include American Football, Football, Cricket, Boxing, Baseball, Tennis, and Horseracing. If you are in the market for quality premium online scratch cards, consider opening a player account at Slots.lv. It’s very simple to play. All you need to do is virtually scratch the card to reveal whether you’ve won or lost. The scratch cards catalogue at Slots.lv is vast and includes popular titles such as Beach Bums and Itchin’ 2 Win. You’ll find scratch cards in the specialty section of the Slots.lv website. Slots.lv offer players a number of progressive jackpots. Progressive jackpot is one of the most important factors players consider when signing up at an online casino. Top progressive jackpot games from RTG include Jackpot Pinatas, Shopping Spree II, Aztec’s Millions, and Megasaur. Top progressive jackpot games from BetSoft are Mega Glam Life, Legend of the Nile, Reels of Wealth, and Pharaoh King. Those who prefer human interaction while playing have not been left behind. Live dealer actions combine the best of both worlds. They manage to offer the perks of online gambling while projecting the thrills of a land-based casino. Slots.lv has got you covered with a handful of live casino games, including different variants of live roulette and blackjack. With plenty of options available, deposits, transfers, and withdrawals are fast and easy at this online casino. Deposit options include MasterCard, Visa, Visa Debit, Visa Electron, Bank Transfer (Canada only), and Bitcoin. The maximum deposit amount when using a bank card is $1000 and $5000 when using Bitcoin or Bitcoin Cash. All these options deposit money into your player account instantly. All deposits are free. If you plan on using Bitcoin to deposit money into your Slots.lv account, you will need to sign up for a Bitcoin wallet such as Coinbase first. When it comes to withdrawals, Slots.lv players have several options namely Visa, Paper Check, Wire Transfer, Bank Transfer (Canada only), Bitcoin, and Bitcoin Cash. With a processing time of 24-48 hours, Bitcoin or Bitcoin Cash is the fastest methods when it comes to withdrawals. It takes 14-21 days to receive a paper Check or check by mail, making it the slowest method when it comes to withdrawing cash from your account. Bitcoin allows players to withdraw money once every three days, unlike other options where you are limited to one withdrawal per week. Bitcoin is the fastest and most flexible withdrawal method — in terms of the amounts you can withdraw. Slots.lv Casino runs a popular winning affiliate program for its customers. Slots.lv affiliates have an opportunity to make some money with every visitor they lead to the site. Payment is based on commission. Bitcoin affiliate is one of the most popular affiliate programs at Slots.lv. This affiliate program relies upon a revenue sharing scheme and a CPA deal to help you earn money through commission. 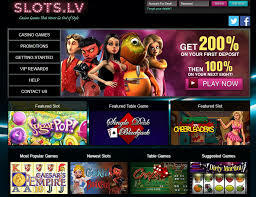 The Slots.lv website offers one of the best ways to experience a wide variety of online casino. It’s very intuitive, hence easy to navigate. As a player, this gives you an opportunity to enjoy a wide variety of high-quality games with just a few clicks. Slots.lv mobile app is a sleek, yet simplistic and allows you to play your favourite casino games on the move. • Slow Cash Outs. Not to nit-pick but slots.lv have slow cash out time (72 hours). Once you cash out, your request will remain pending for 72 hours. There’s no manual flushing either. If you are looking for a licensed, regulated and reliable casino that offers fast pay-outs and adequate round-the-clock support, Slots.lv comes highly recommended. A lot of punters in North American are switching to this up and coming online casino thanks to Slots.lv’s excellent promotions for new and returning players. The site’s player population is constantly growing thanks to their vast library of online casino games coupled with top-notch player experience. Don’t just take our word for it, sign up today for an unforgettable online gaming experience.